We are engaged in offering superior quality Slack Wax which is a semi-refined wax. These Slack Waxes have higher oil content up to 30 mass percent. 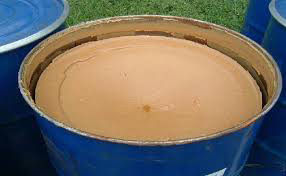 The offered Slack Wax is a type of crude wax which is used for producing press paraffin wax. Owing to its non-toxic nature, this Slack Wax is widely used in rubber, match, shoe, plastic, tyres and polish making industries. We make certain to deliver this Slack Wax at competitive price as per the buyers’ specifications and requirements.